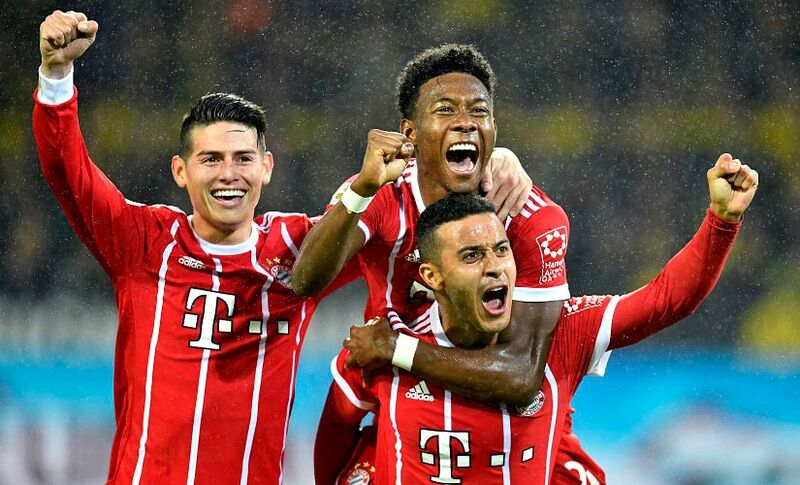 Berlin: Bayern Munich stamped their authority on the Bundesliga with a 3-1 win at Borussia Dortmund which means they have turned a five-point deficit into a four-point lead in four weeks. Under head coach Jupp Heynckes, who started on 9 October after Carlo Ancelotti was sacked, Bayern have won all of their last seven games. 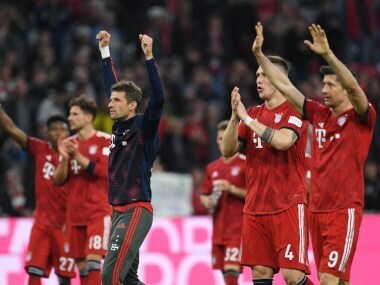 Bayern's display suggests they are on course for a sixth straight German League title after beating main rivals RB Leipzig and now Borussia in the space of seven days. Peter Bosz did his best to sound optimistic about Dortmund's flagging title challenge to Bayern after Saturday's home defeat. "Nothing is decided, we have seven months time in which to put things right," insisted Dortmund's head coach. However, the truth is Bayern have comfortably seen off their main league rivals in the last week. They have a four-point lead over second-placed RB Leipzig, who Bayern beat 2-0 in Munich last Saturday, while Dortmund now trail Munich by six points in third. In Bayern's six remaining league games this year only Hannover 96, who shocked Dortmund 4-2 last weekend, can realistically trouble Heynckes' Munich stars. 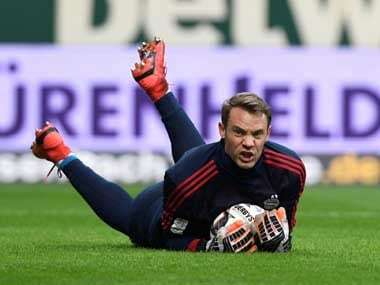 With world-class goalkeeper Manuel Neuer to return in early 2018 from a fractured foot, the Bundesliga title looks effectively Bayern's to lose. Dortmund are in free fall, dropping 11 points in four league games and Bosz struggled when asked what positives he took from the Bayern defeat. "The fans were unbelievable, even at 3-0 down they supported us," he said. Only midfielder Christian Pulisic and goalkeeper Roman Burki produced creditable performances. Dortmund has one win in their last seven matches and face a group-stage exit from the Champions League after losing to Real Madrid and Tottenham. Dortmund have a tough run after the international break, hosting Tottenham in the Champions League then fourth-placed league rivals Schalke at the end of November. Mainz goalkeeper Robin Zentner was left red-faced over an absent-minded blunder which is quickly becoming a social media hit. In his side's 1-1 draw against Borussia Moenchengladbach, Zentner trapped a back pass, looked up to check where his players were and sent a kick downfield, only to strike thin air as the ball had rolled behind him. "I fear it will be a YouTube hit, at some point I will be able to laugh about it," he said sheepishly. Luckily for Zentner, Gladbach's Germany striker Lars Stindl failed to capitalise on the mistake and the ball was cleared by Mainz's defence. "In the team bus, Robin is guaranteed to hear something about that and we'll make it a hot topic in the video analysis," promised team-mate Daniel Brosinski. Jann-Fiete Arp only turns 18 in January, but already has two goals in three Bundesliga appearances for Hamburg. Arp volleyed a consolation goal in last weekend's defeat at Hertha Berlin, becoming the first player born this century to score in the Bundesliga, then netted again in Saturday's 3-1 win against 10-man Stuttgart on his first league start. The Germany Under-17 striker has a contract until 2019, which the club want to extend. In an effort to chaperone him, Hamburg block media requests to speak to the teenager. "The hype is honestly a bit scary to me. At the moment, I just want to focus on football," the teenager told Bundesliga.com in a rare interview. Bayern's Germany defender Mats Hummels has found a novel way to deal with badly bruised toes, cutting holes in his boots. 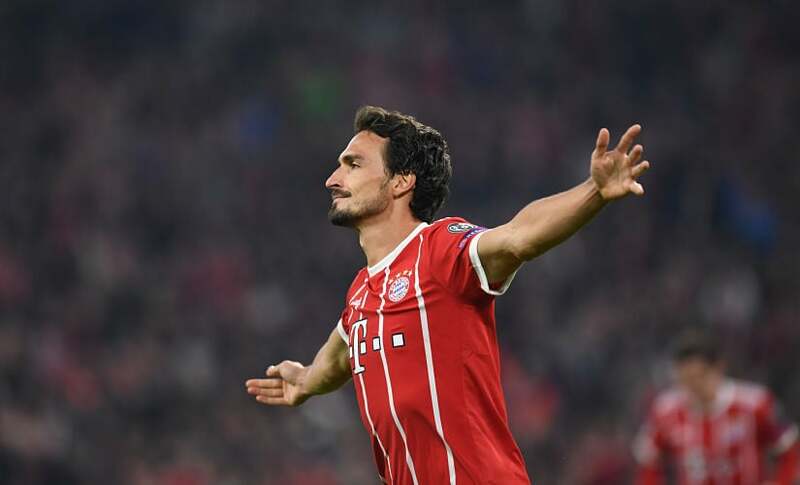 Hummels, who will link up with the Germany squad for friendlies against England at Wembley on Friday and France in Cologne four days later, took a knife to the top of his boot to relieve aching toes. "I can't take much pressure on the big toes. They are both black and blue and a bit busted up at the moment," he told Sky when asked about the unconventional modifications. "I hope they will heal in the next few weeks."